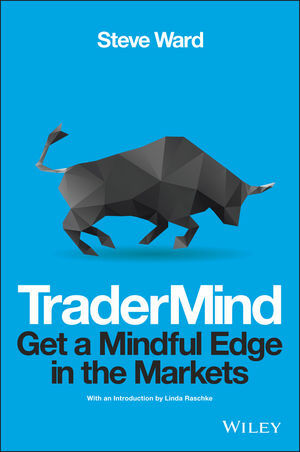 TraderMind is an essential resource for understanding and applying mindfulness-based approaches that help to enhance an individual trader's overall performance. Based upon extensive research and practical application in the real world of the trading floor, TraderMind includes methods, tactics and techniques to build and enhance awareness and insight, which help manage thoughts and emotions and maximize trading performance. The author demonstrates how to overcome habitual or impulsive trading behaviours, manage energy levels, become more attuned to and responsive to the market, more situationally aware and build patterns of effective trading behaviour. By developing these skills and good behaviours, traders can overcome inherent biases and, ultimately, improve their trading decisions. Also includes the TraderMind 8 Week Training Program. Steve Ward works with financial traders, trading teams and leaders in proprietary trading groups, energy companies, banks and funds across the world, utilising his expertise in the areas of performance, psychology, lifestyle management and making decisions under conditions of high stress, risk and uncertainty. He is the author of High Performance Trading and Sportsbetting To Win, and was the consultant trading performance coach to BBC television's Million Dollar Traders series.